Anthias Consulting Ltd are experts in the separation science fields of Gas Chromatography (GC, GCxGC) and Liquid Chromatography (HPLC, UHPLC, LCxLC), Mass Spectrometry (GC-MS, LC-MS, ICP-MS), Spectroscopy (ICP-OES, IR, UV/Vis, AA) and all related techniques. Our trainers and consultants are members of the Royal Society of Chemistry (RSC) and are current practitioners in the field of Analytical Chemistry. 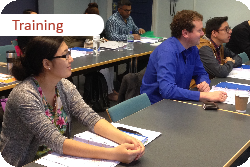 Many of our training courses have been approved by the Royal Society of Chemistry for purposes of Continuing Professional Development (CPD). 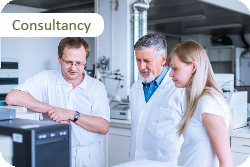 We offer independent training and consultancy to analytical instrument manufacturers, laboratory analysts & technicians, PhD students and technical consultants across all levels of experience and are able to tailor any of our services to your needs.